Global Awareness: What is it??? Part of Beyond the Block’s mission is to make our students more globally aware citizens. You may have heard of the idea of global awareness before, or related ideas such as globalization and global citizenship. But what do we mean here at BTB when we say that we “improve global awareness” through our educational travel documentaries and curriculum? We believe that improving global awareness can be achieved through fostering four important skills: understanding others, understanding yourself, thinking critically, and imagining a better world for self and others. 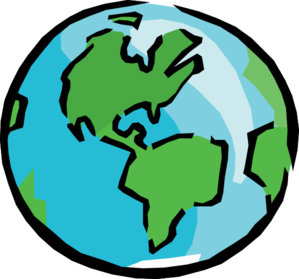 Read on to see what our students say after learning about these four aspects of global awareness! All you tech-savvy people out there might be interested in this! Over the past year, Beyond the Block received the amazing opportunity to implement Salesforce, a customer relationship management (CRM) program valued at $15,000! The Salesforce Foundation generously donated this program to us. I worked personally and closely with our tech consultant extraordinaire, Kelly, in order to customize the program for our specific needs. The program is now officially live for BTB and assisting us on a daily basis! Salesforce is an extremely versatile and adaptable program that is designed to suit the needs of thousands of different companies and nonprofits, who each use the progra m in a different way. To accommodate for this, Salesforce starts like a set of unassembled Legos and it is up to the user to assemble them in the way that best suits their needs. Kelly helped us put BTB’s Lego pieces together in ways and patterns that we couldn’t imagine on our own. The results have been amazing! Keeping a tally of all the students we’ve reached—3,893 and counting! In just the first few months of use, Salesforce has proven to be immensely useful for coordinating, organizing, and tracking everything related to the organization. And I really mean everything! This includes tracking donations, services we provide to schools, demographic trends of our target population, and student survey data. You may have received a confirmation receipt related to your recent donation to Beyond the Block—that is Salesforce at work! Storing and cataloging our students’ survey responses has proven particularly valuable in evaluating the outcomes of our programs. (To read what some of the kids are saying, check out this post about our global awareness curriculum.) Salesforce has allowed us to become a more efficient, mobile, and responsive organization, enabling us to put your donation dollars to the best possible use by keeping our overhead costs low and our program-dedicated budget high! You can be confident that we are harnessing the power of the best tools available to maximize our impact here at BTB! I feel so proud to be working with an organization that aligns so closely with my personal values. The legacy that this organization will leave behind and the impact it will have—and has had already—on thousands of kids and the world is one that I’m honored to be a part of. It seems that every day brings a unique opportunity for me to contribute to both the organization and its mission. And in turn, I get to contribute to making this world a more positive place; every day and one day at a time! This year has amazing potential and I’m so happy to be on this journey with all of you—your support gives me passion! Thank you! To learn more about Nate’s background, check out his profile on our website. © 2015 Beyond the Block, Inc.™ All rights reserved. No reproduction without written permission from the author.